The other day I drew some lovely henna flowers on myself and my son's girlfriend. It was all fine and wonderful until the next day when I realized that both of our henna flowers had faded into nothingness. Apparently my henna had expired. I figured, hey, that must've just been a practice session. 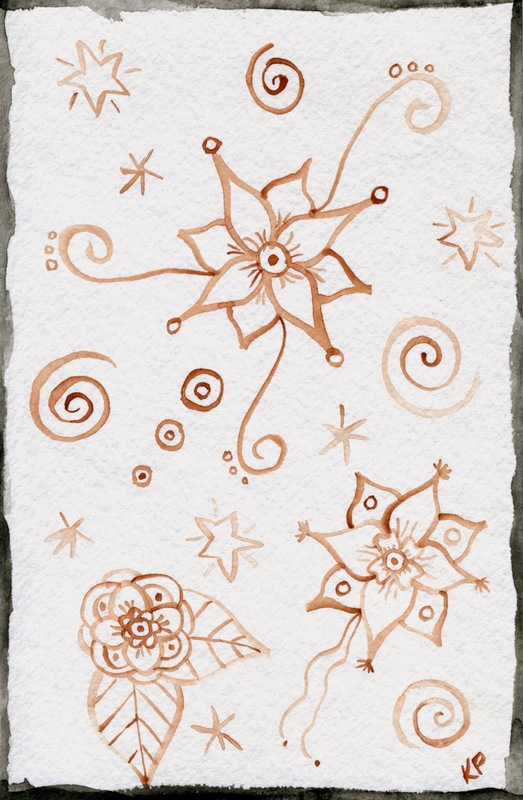 So to fill my henna void I took out my watercolors and created some henna flowers that would stick around for a while.